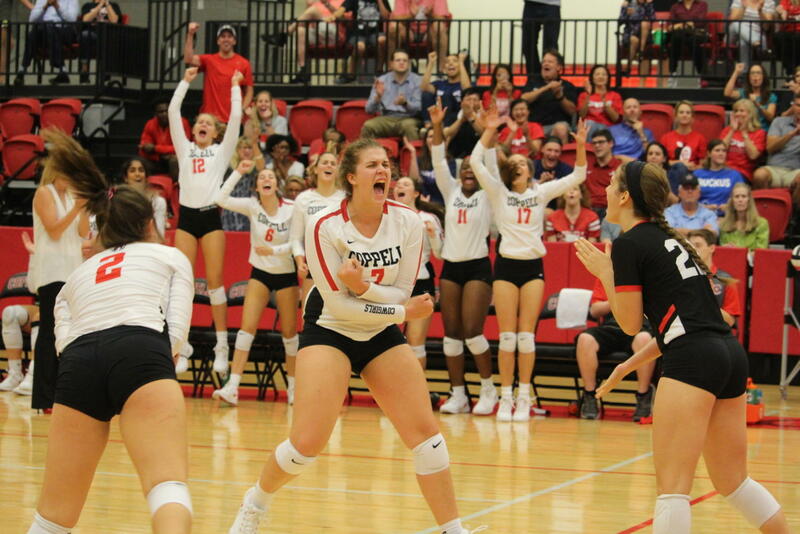 Coppell High School senior Pierce Woodall screams with excitement after spiking the ball during the match at CHS Arena against Waxahachie on August 11th. The Cowgirls beat the Waxahachie High School Indians, winning 2 out of 3 sets. 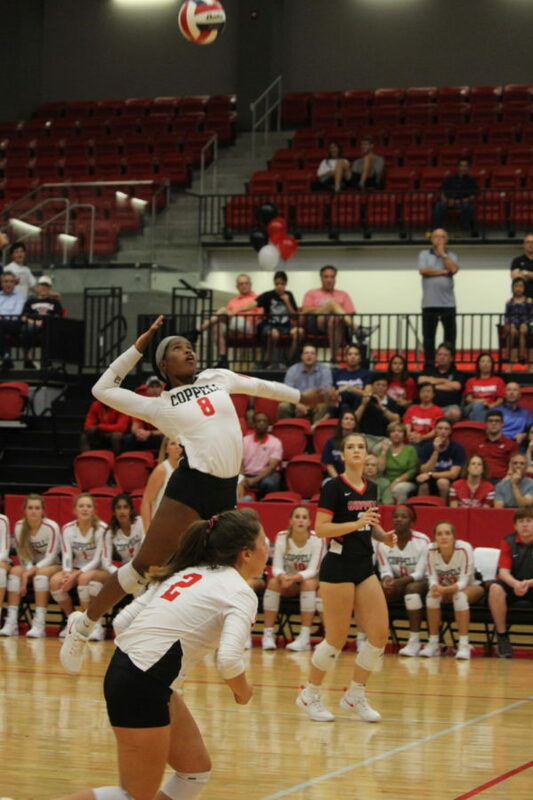 Coppell High School senior Amarachi Osuji goes up to spike the ball during the match at CHS Arena against Waxahachie on August 11th. The Cowgirls beat the Waxahachie High School Indians, winning 2 out of 3 sets.